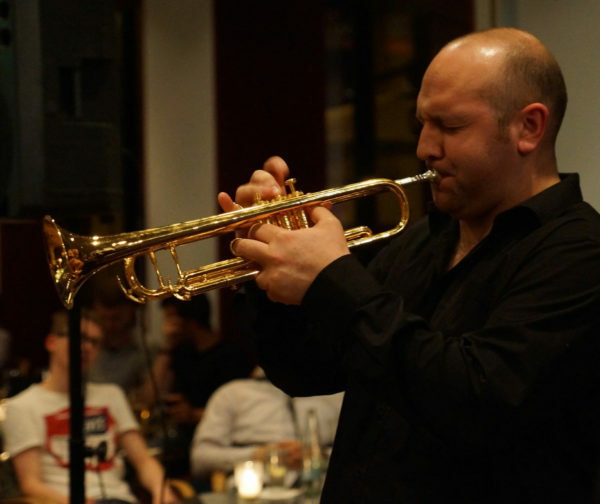 Ryan Quigley is one of the most in-demand lead and jazz trumpet players in the UK as well as a highly regarded composer, arranger and educator. Ryan has been involved in many projects involving musicians from around the world including Allan Bergman, The Bad Plus, Tim Garland, George Michael, Eddie Reader, and Justin Currie. He has also toured the world with bands such as Salsa Celtica, The Unusual Suspects, The Scottish National Jazz Orchestra, The RTE Concert Orchestra and The Irish National Symphony Orchestra. Ryan leads and writes for his own bands, quartet, quintet, sextet and big band.